Oona opened the Beauty Clinic in 1985 with a dream to have an outstanding Beauty Centre focusing on the client and their needs, taking into account all aspects of beauty, inside and out. 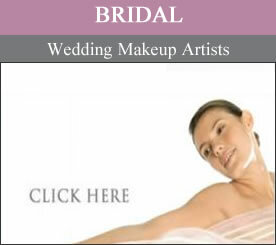 Oona is a Master Beauty Therapist & Professional Make-up Artist with vast experience. 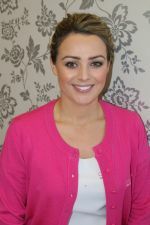 She specialises in 6D Eyebrow Embroidery, 3D Semi-Permanent Brows, Red Vein and Skin Tag removal. She is a skilled electrlogist who understands what it takes to get excellent results in permanent hair removal. She is a trained Guinot and Alpha H Therapist who carries out Glycolic and Enzyme facials. Oona is also an NLP Master Practitioner and qualified Life Coach. She believes in great skin care routines, regular facials, relaxing treatments and a positive mental attitude. 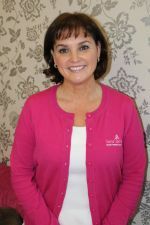 Elaine has worked in the Beauty Clinic since 2005, she is an absolutely gorgeous person – she smiles all the time and is always in good humour.She is an excellent Therapist and qualified Make-up Artist. Elaine is instantly likeable and you will feel very comfortable with her. She is so down to earth, experienced and caring. She will listen to your requests and deliver the perfect treatment for you, whether it’s specialised waxing, tinting, facials, tan, nails or make-up, you will not be disappointed. Elaine expertise is in Alpha H Glycolic Facials and Enzyme TherapyElaine is also on our Bridal Team, was runner up in Best Nail Technician, Best Makeup Artist and Best Customer Service! 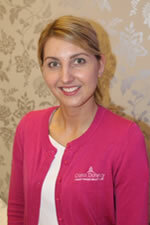 We are delighted to have Elaine working with us since 2011, and she had 5 years Spa Experience before joining us. Elaine is a skilled, knowledgable therapist. She is a wonderful masseuse and has, what you could call, a cult following for facials. A facial with Elaine is AMAZING and addictive! Not only does she understand her products and treatments inside out, she is also a talented massage therapist. Elaine loves facials and body work including Lycon waxing. What we love the most about Elaine is her calmness. She is calm and pleasant, and caring and kind and very unassuming. You will be totally relaxed for any treatment with Elaine. Sharon has years of experience dealing with people at management level, so you can imagine how delighted we were to have someone like Sharon join our team. Sharon loves all beauty treatments, especially Guinot, Alpha H and makeup. She will go out of her way to help. Sharon is bubbly and warm and focused on her client having a fantastic experience in our Salon. Niamh joined our team having worked in Cromleagh Lodge, Castle Dargan and Voya and she brings a wealth of experience in skincare with her..
She is a delightful young person, who is very willing and giving. Her gentle yet thorough approach has earned her many compliments. .
She is very popular with clients for her skill and knowledge. Niamh is good humoured and pleasant, friendly, and unassuming. She is attentive and dedicated and gets excellent results and feedback. 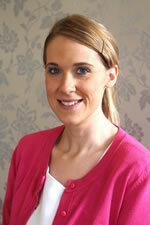 Client love Niamh’s #39;s gentle and friendly manner.. you will love her too. She is part of our Bridal Team, she specialises in Guinot and Alpha H Facials, Advanced Waxing, and does a great Shellac treatment. Kasia is one of the best therapists to every come to work in the Salon! Not surprising she was student of the year in college. During her two years in another salon she paid for several training courses herself which shows great dedication and determination. Kascia is, accommadating and very caring. She is very gentle, courteous and helpful. 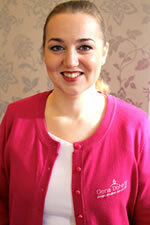 She is an excellent therapist and is sought after for shellac, hot stone massage, specialised waxing, and makeup. Kasia loves her career and will do all she can to give you a wonderful treatment. .
Kasia specialises in Glycolic Peels and Enzyme Facials. She is trained in Yumi Lashes as well as Semi-Permanent Lashes.